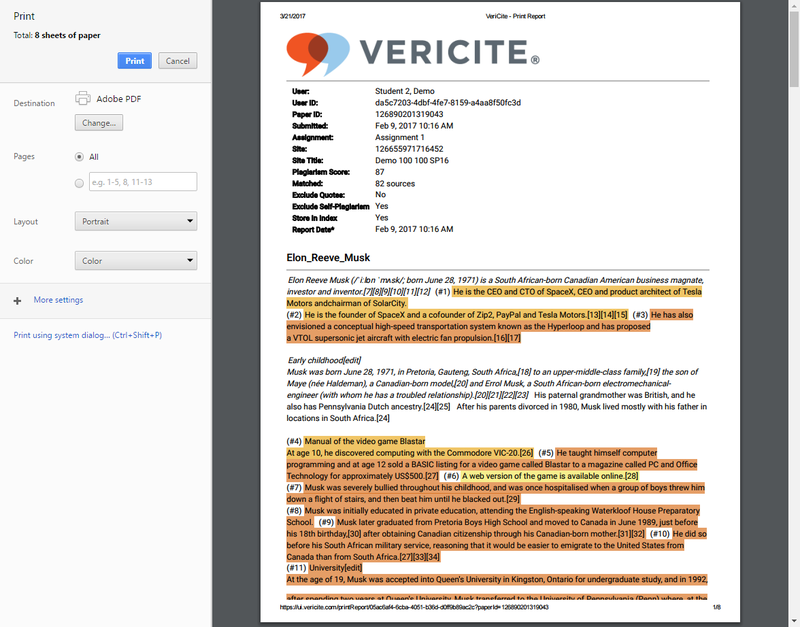 VeriCite DocumentationUser GuidesSakai User Guide Instructor ArticlesHow do I print a VeriCite report? From the Download menu, select Print Report. Zoom: From the Download menu, select Print Report. The printer-friendly version of the report will be generated. Please wait for it to finish loading. 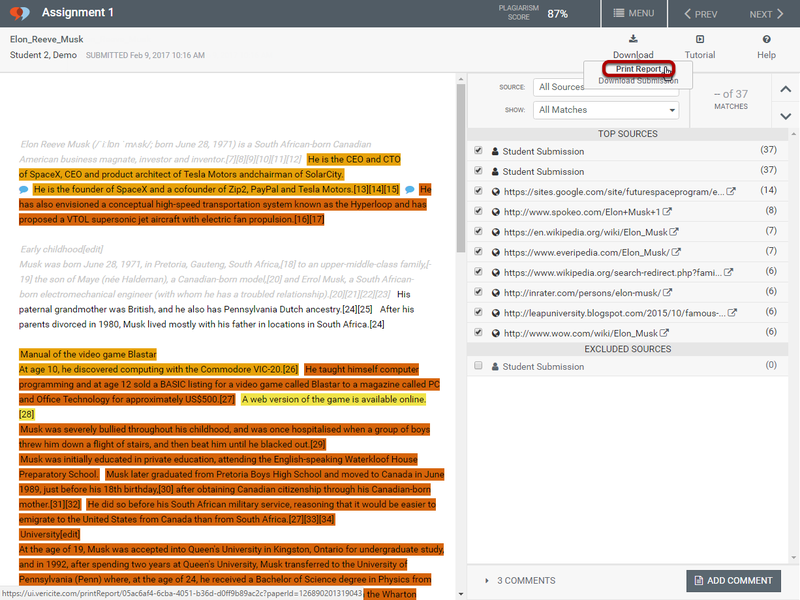 Zoom: The printer-friendly version of the report will be generated. Please wait for it to finish loading. Save or print the report once it has finished loading. Zoom: Save or print the report once it has finished loading. 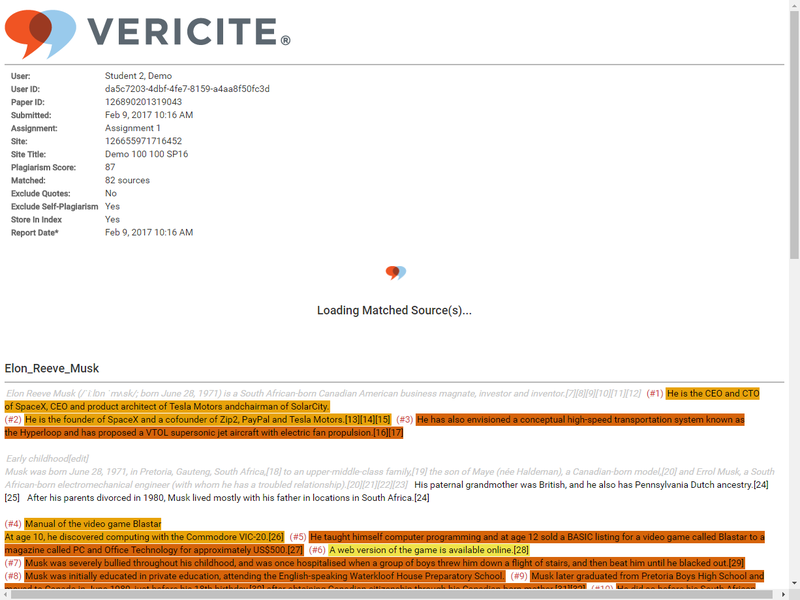 Prev: How do I navigate a VeriCite report?